Earlier this year I decided to take the plunge and treat myself to a small grand piano. I’d played on an upright for years but now had space to accommodate a grand so thought I’d see what my options were. After searching on line I found that Ben Wheeler Pianos was reasonably local and sounded like a good starting point. So in fear and trepidation I turned up at the showrooms at the agreed hour, clutching dog-eared, yellowing pieces of music that I had played / attempted to play over many years. Michelle instantly put me at ease, made a wonderful coffee, chatted about what I was looking for etc and let me loose on various instruments. I was surprised by how much I enjoyed the whole process (once I got used to the music being a long distance from the keyboard – at the start I felt like Rowlf the Dog on the Muppet Show with my head looking up and down frenziedly from music to keyboard). After my second visit and another couple of hours of trying out different pianos I decided to go for a restored Grotrian Steinweg. I have to confess I didn’t feel the need to visit any other showrooms because I was so happy with the experience – I liked Ben and Michelle, they knew what they were talking about, there was no pressure at all to come to a decision. They had really taken time to understand where I was coming from and what I was looking for. 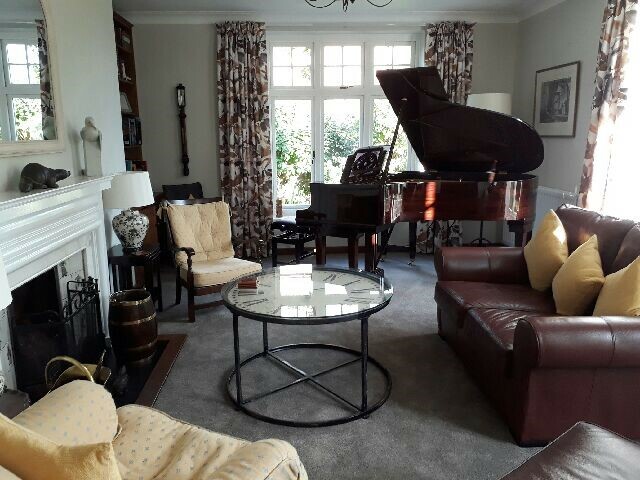 Michelle had warned me (with a wry grin) on my first visit that “Once you’ve bought a Ben Wheeler piano you’ll be stuck with him for ever, especially if you chose a Grotrian”. But you know that’s not been a bad thing! I’ve now owned the piano for 6 months and Ben has visited to tune it a couple of times. He announces his arrival by a loud knock at the door accompanied by cheerful whistling. He clearly loves his work and is always positive, approachable and professional. I don’t mind being stuck with someone like that! Oh, and by the way, I love the piano!